The fireplace surround is stacked rock up until the wood mantel. 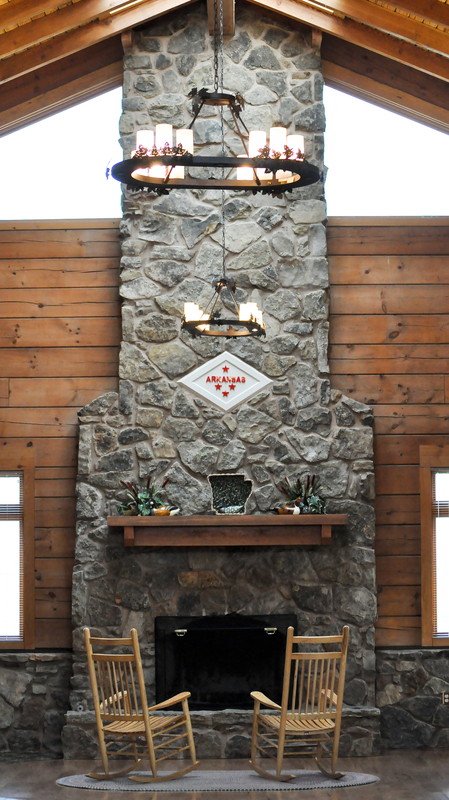 The mantel extends well past the fireplace, and the wall adjacent is set with the same stacked rocks. The fireplace flu tapers upwards in white. The hearth is shallow, but wide and deep. Sleek, white and angular, this fireplace’s flu tapers slightly upward. The angled glass of the fireplace gives visual interest. 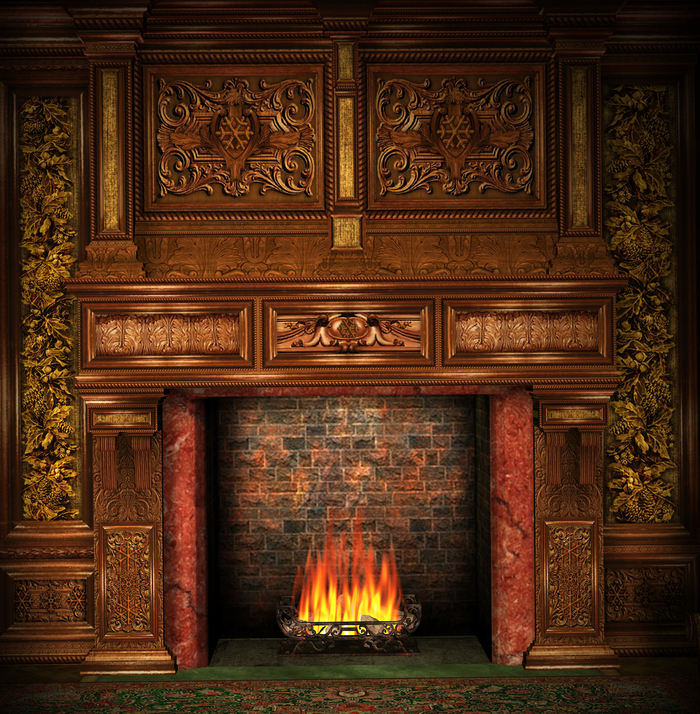 The ornately wood carved surround of this open fireplace is grand and impressive. 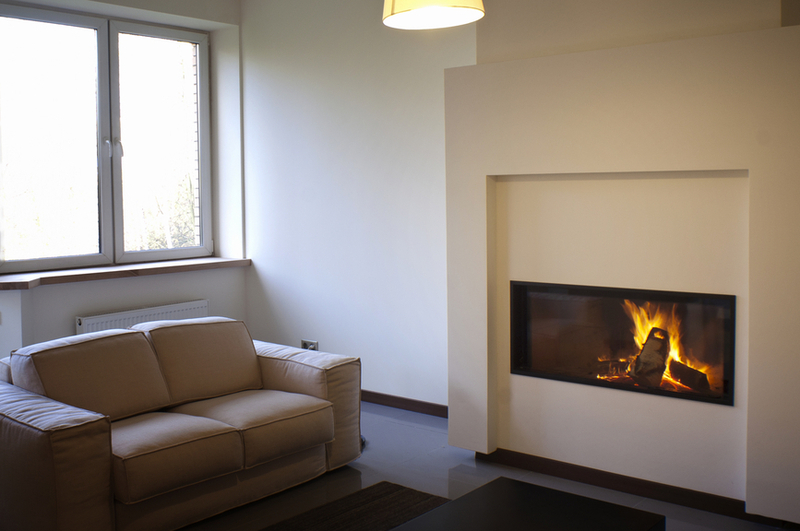 Solid and square, this fireplace with its large wooden mantel provides comfort to a room and its inhabitants. 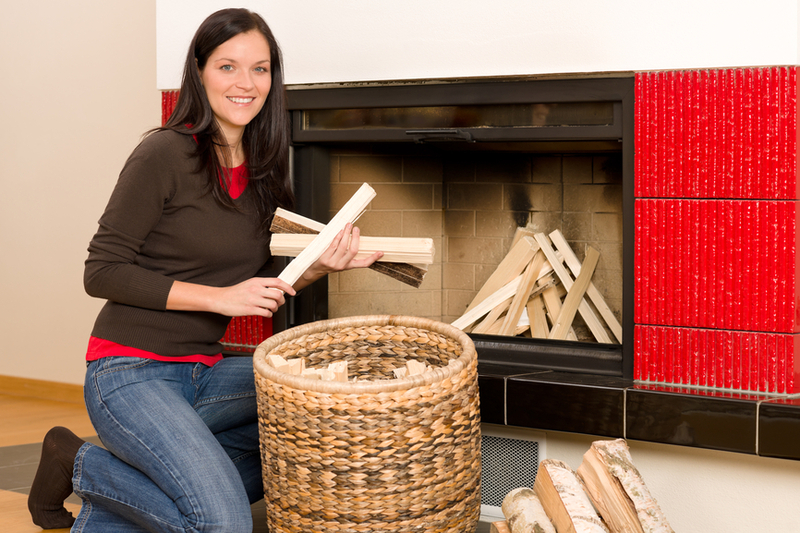 The area below the hearth provides a convenient spot for stacking kindling. The mixed brickwork provides visual interest. 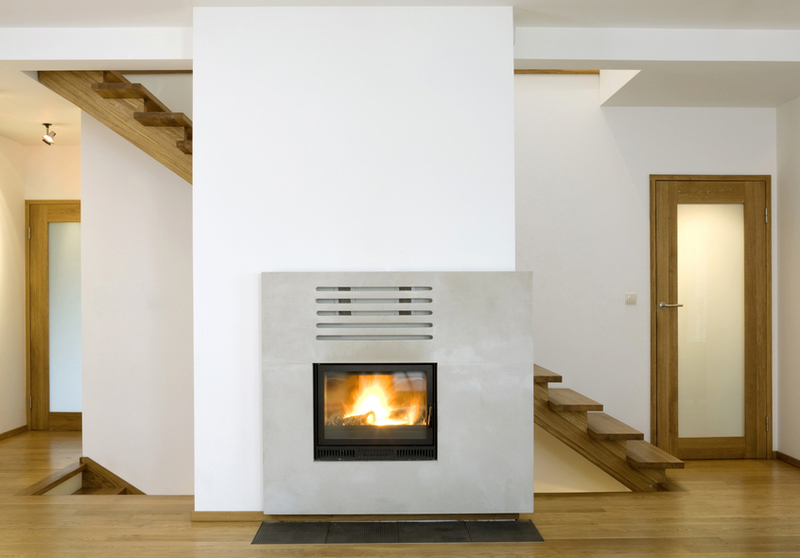 A modern white fireplace in a slightly recessed angular surround provides a contemporary look. Chunky stone, a brick hearth, and a giant slab of wood for the mantel give this fireplace a solid and grand appearance. 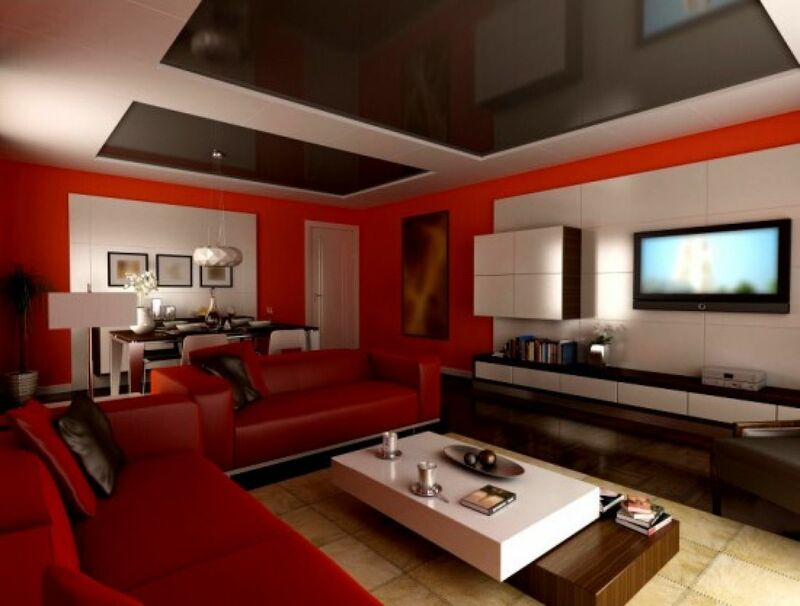 The orange walls mimic the orange of the flames. 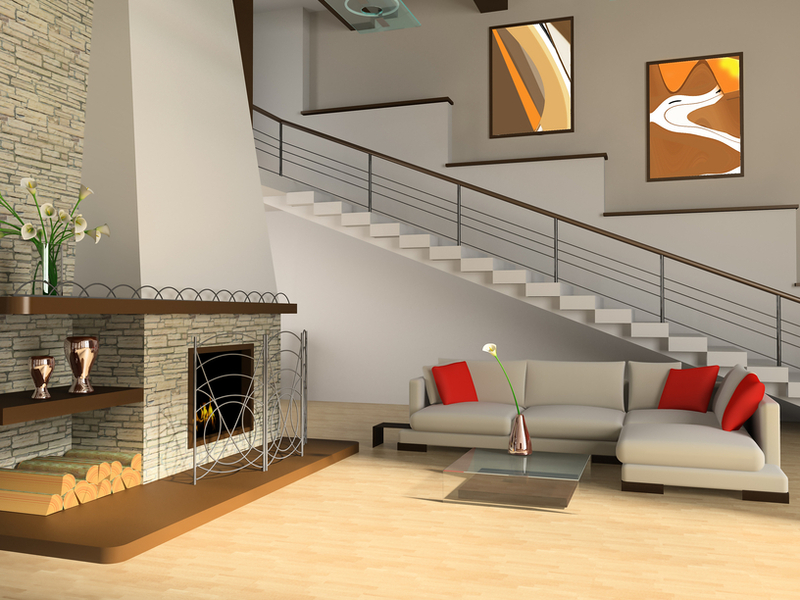 A sleek and contemporary design, this fireplace with its concrete design fits in well with the wooden staircase going up behind it, the open stairs going down to the left of it, the beautiful wooden framed glass doors with chrome handles and white walls. The dark hearth completes the look. 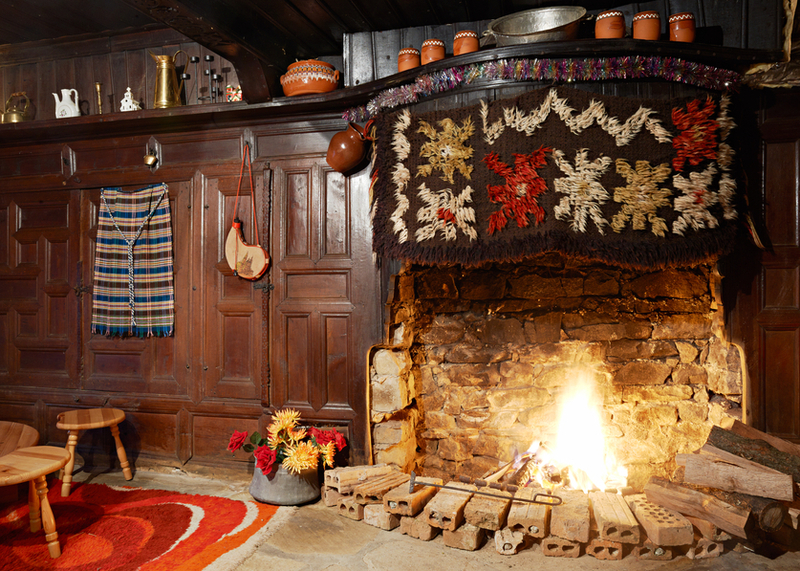 Here is a traditional Bulgarian fireplace. The hearth is open, the stonework very rough. 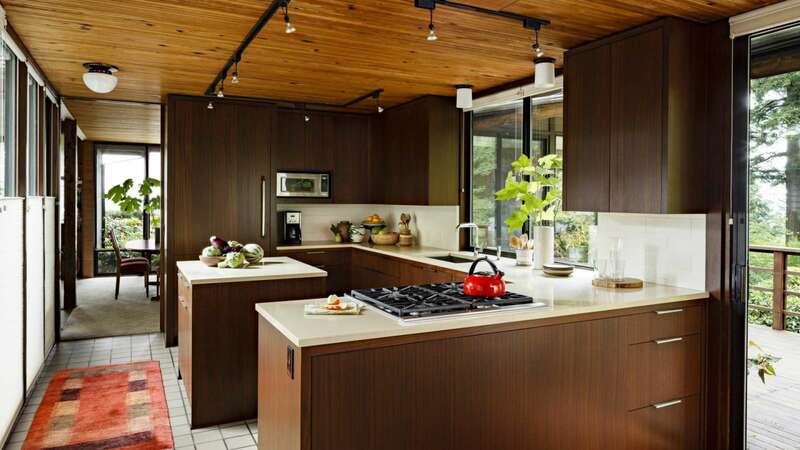 We provide it only as a counterpoint to a more constructed “rustic” look. This is rustic at its most real. 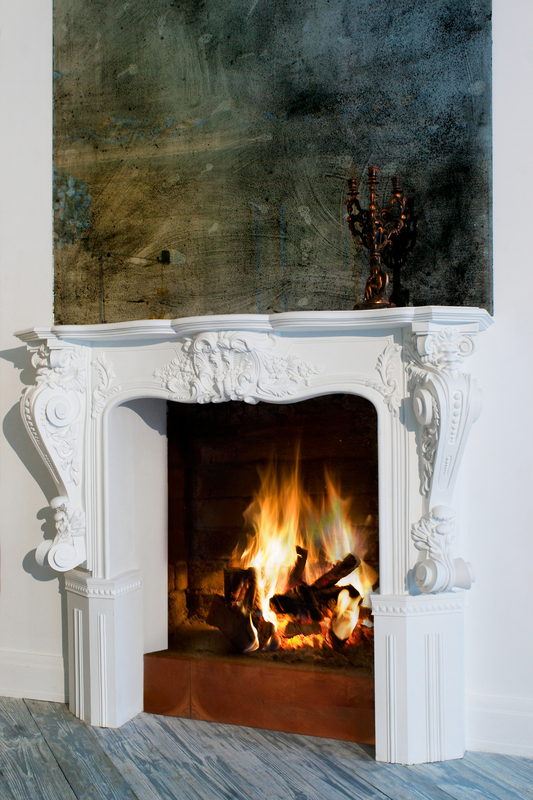 An ornate white fireplace surround, with blue-stained wood, and a contemporary piece of artwork at the mantel. This is a striking fireplace that successfully marries both traditional and contemporary in a fresh and playful way. 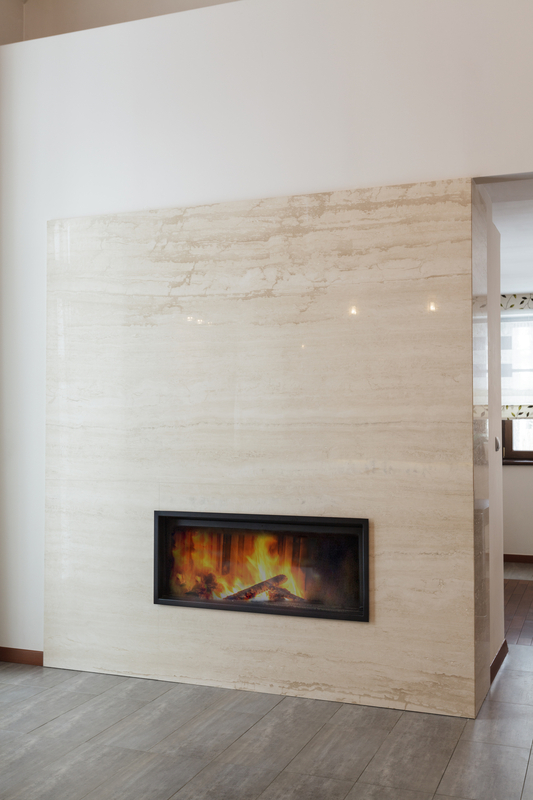 This modern fireplace features a marble wall surround. Glamorous and sleek, the marble edge is visible at the opening, rather than inset into the wall completely. 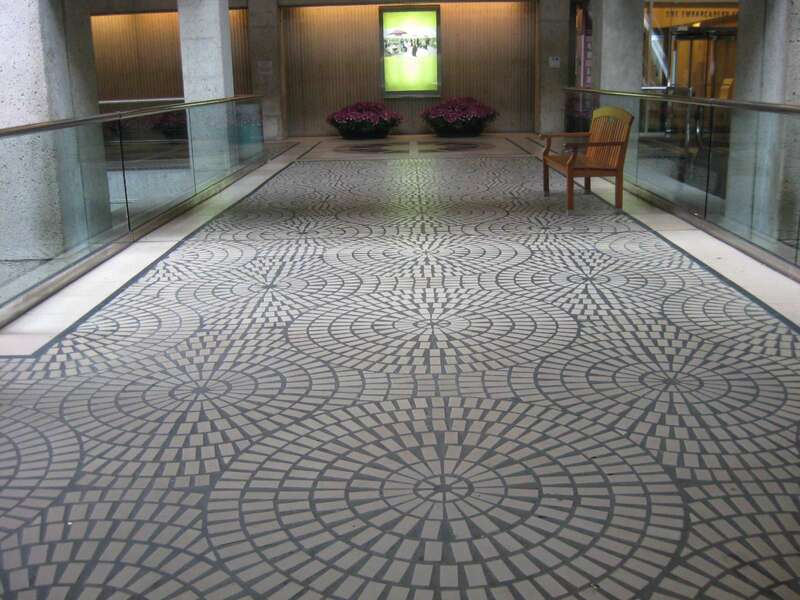 This shows off the natural stone to a greater degree. 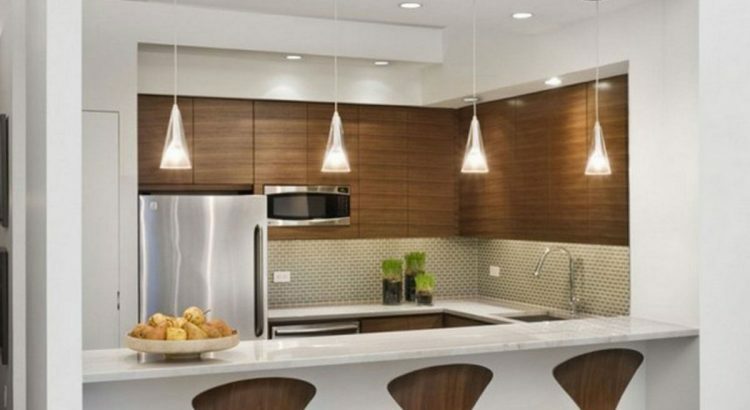 Further proof that brick fireplaces can look modern. 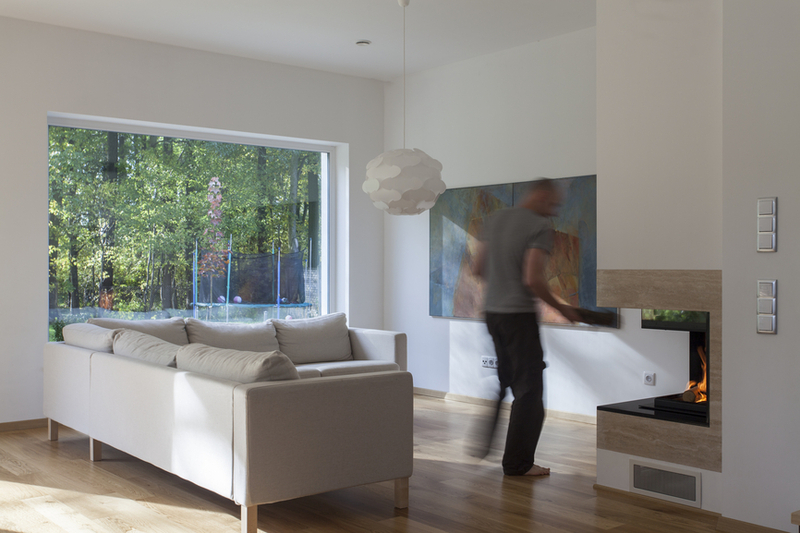 The brickwork is clean and extends from floor to ceiling. 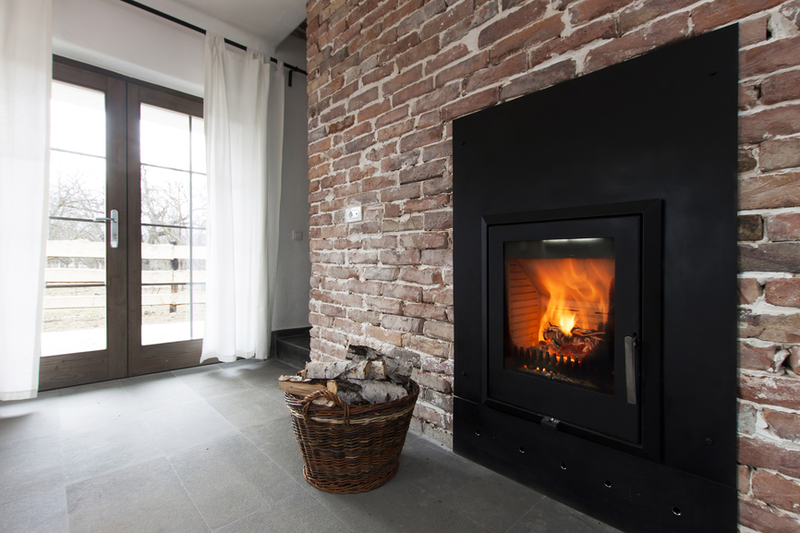 This achieves the traditional appeal of brick, without reverting to a more dated fireplace surround. 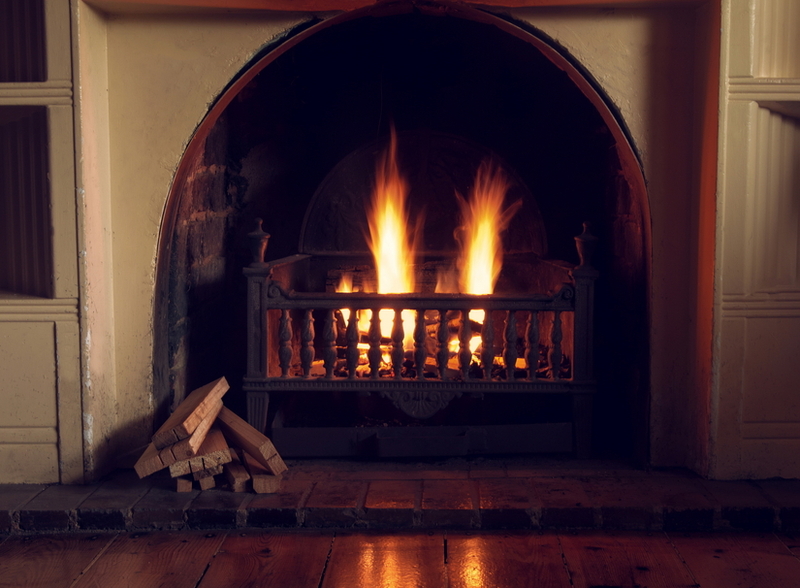 The black iron-look of the immediate surround of the fire is almost industrial in its functional appeal. 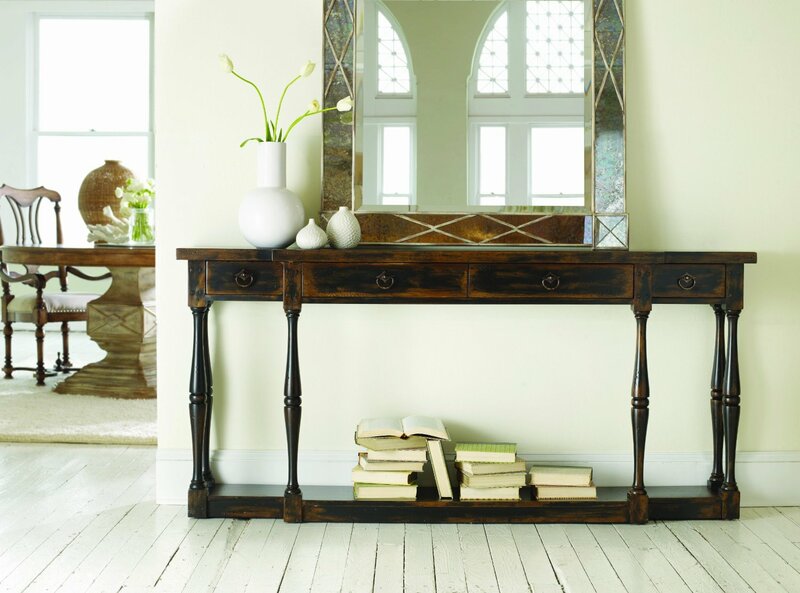 The look is at once rustic and contemporary. 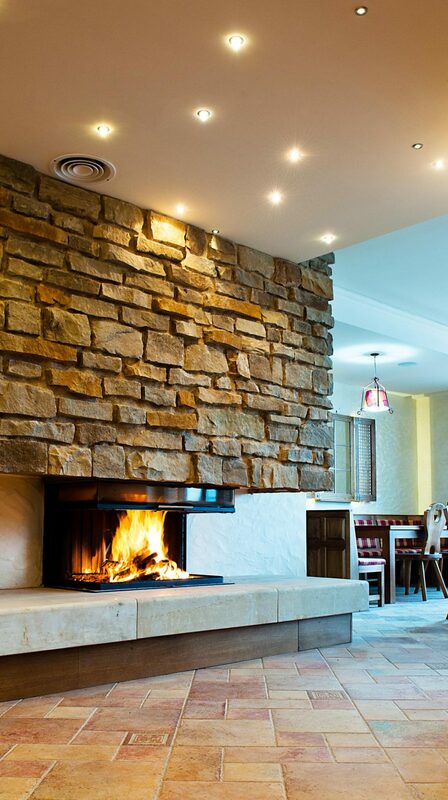 A curved travertine fireplace gives the corner of this room a real focal point. Although inspired by rustic scenes, this fireplace is anything but humble. The grand stone chimney set against the massive wooden structure of the building is impressive. The chunky wood mantle, the raised hearth, and the massive iron chandelier above all contribute to this look. 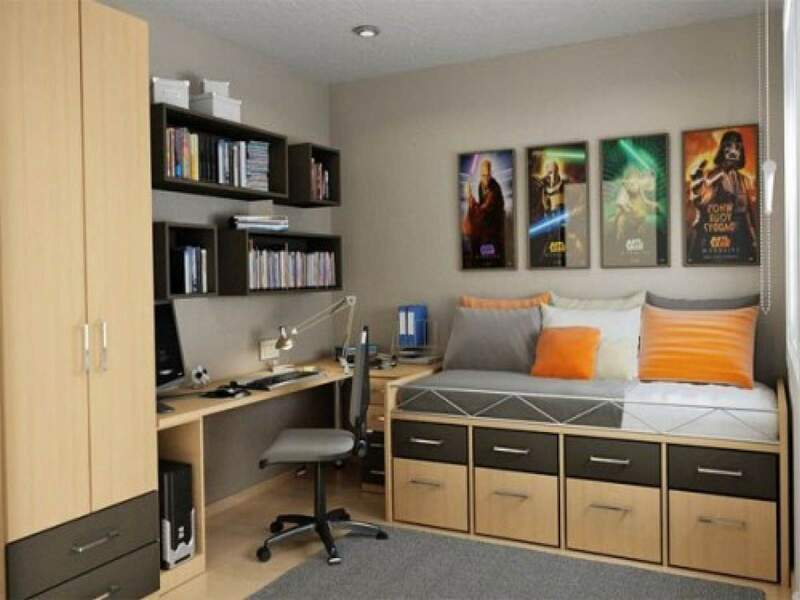 The placement of the traditional rocking chairs completes the look. Although brick fireplaces are often not seen as commonly in modern interiors as they once were, this fireplace proves to be an exception. 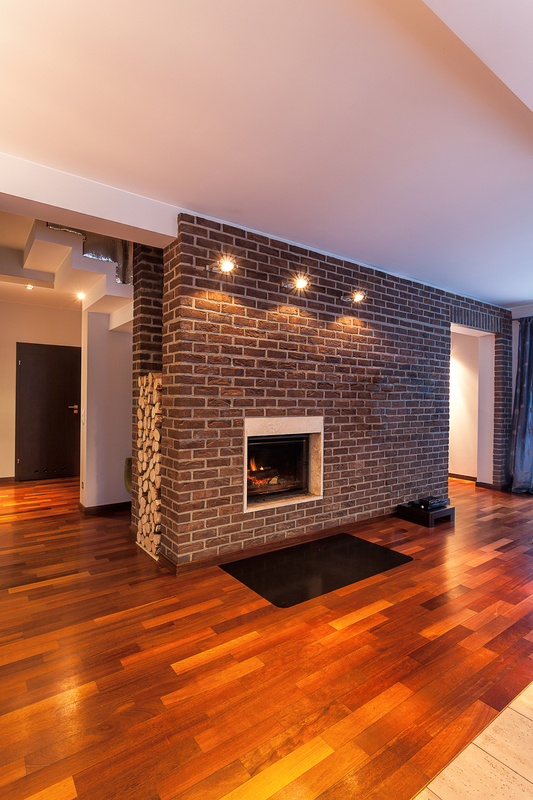 With uniform brick extending to the ceiling and reaching to the floor, this sleek piece is original but still inviting. 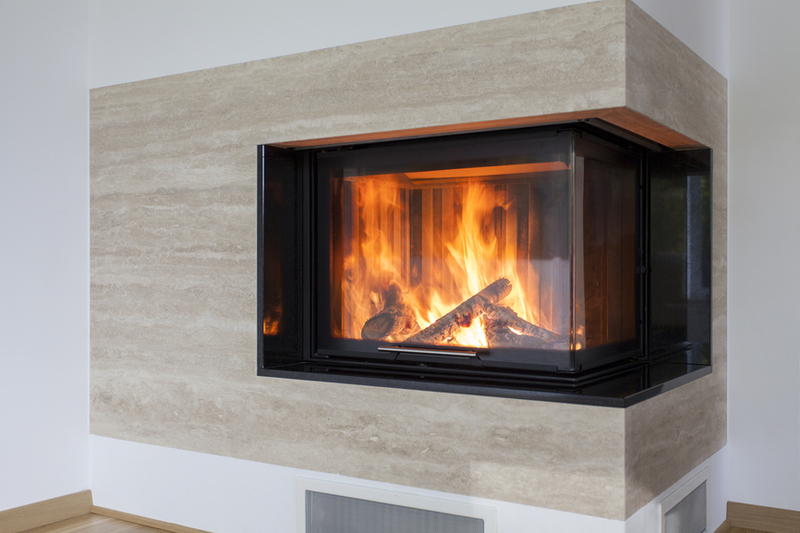 It unites both the traditional appeal of a fireplace with a sleek modern rendition. 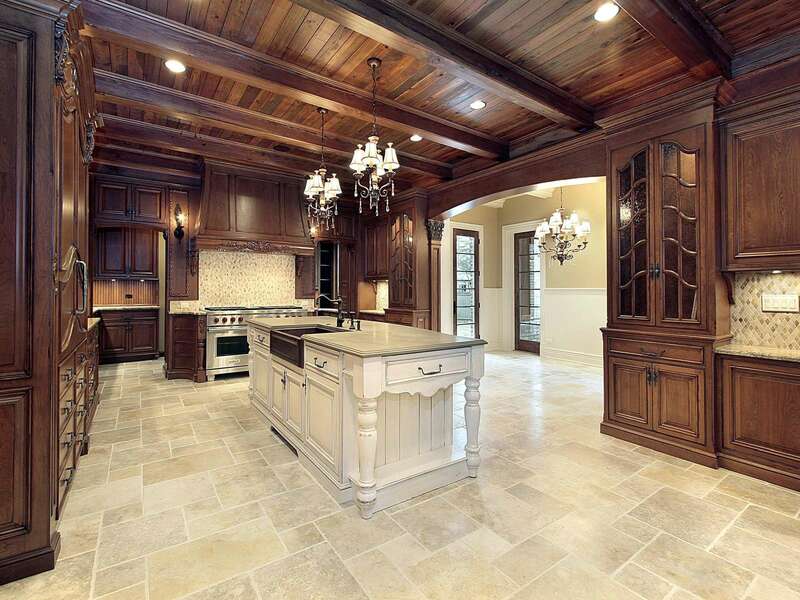 Hardwood flooring is durable, attractive, and goes great in any room and with any decor. 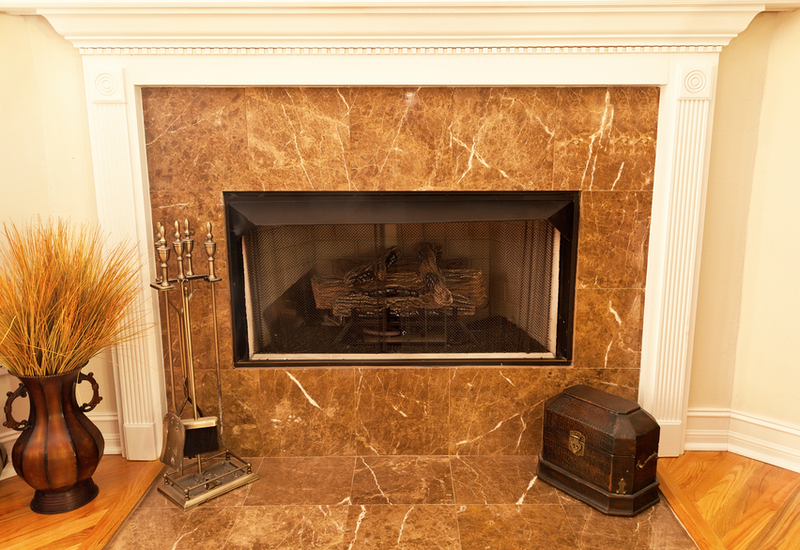 Here is a traditional gas fireplace with marble tile. The marble surround is itself surrounded by a white wooden surround that extends into the mantle. 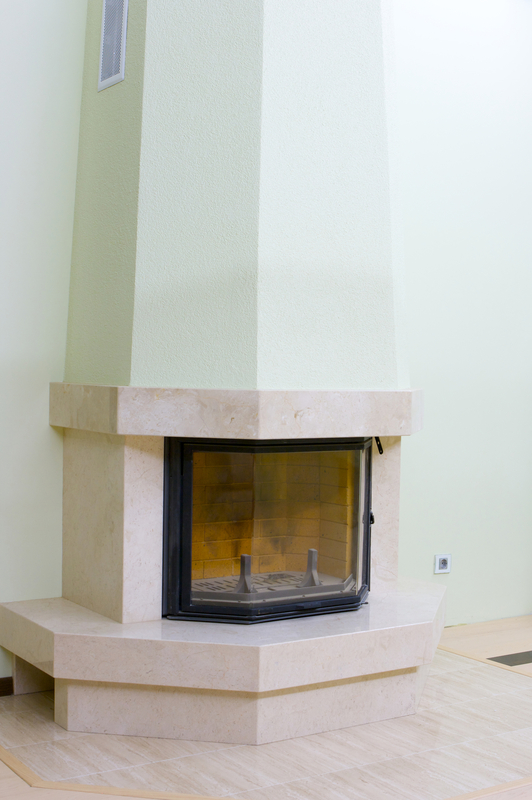 The below travertine fireplace that is open on two sides is sleek and modern. The perpendicular glass sides add visual interest from two perspectives. This is the same fireplace shown above. 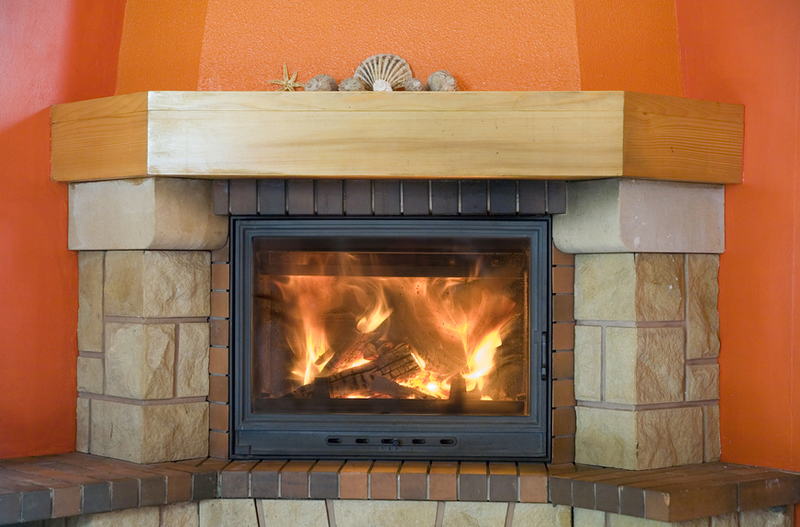 The angles of the fireplace are readily seen in this photo. 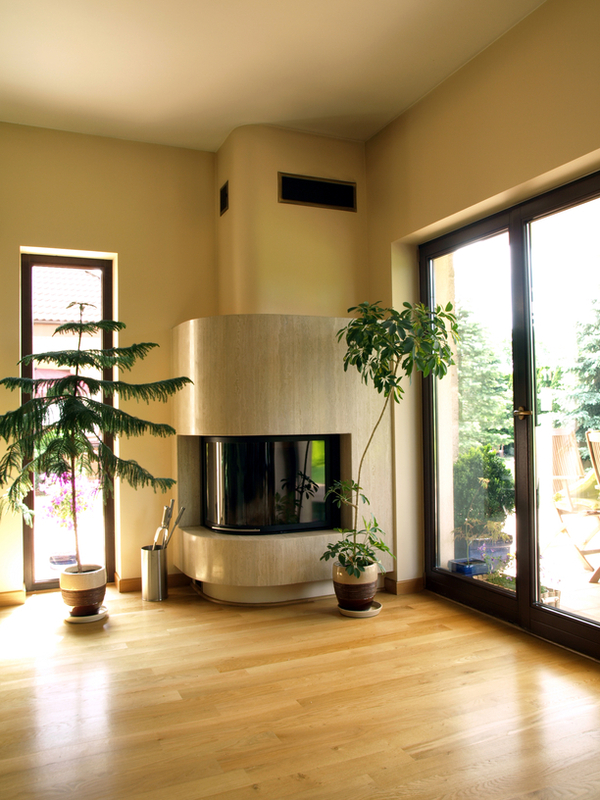 An oval surround provides the fireplace here with a softness. The look is retro and appealing. 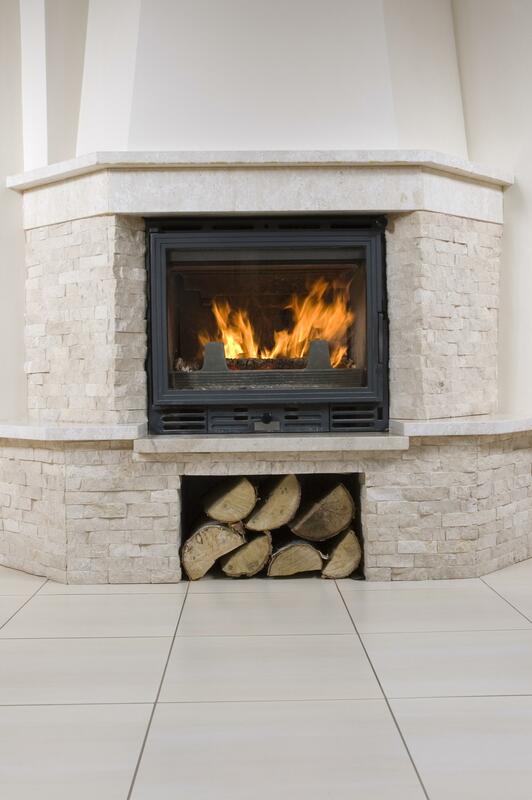 A white stone fireplace with many angles provides depth to the room. The stacked wood below emphasizes the functionality of this structure. 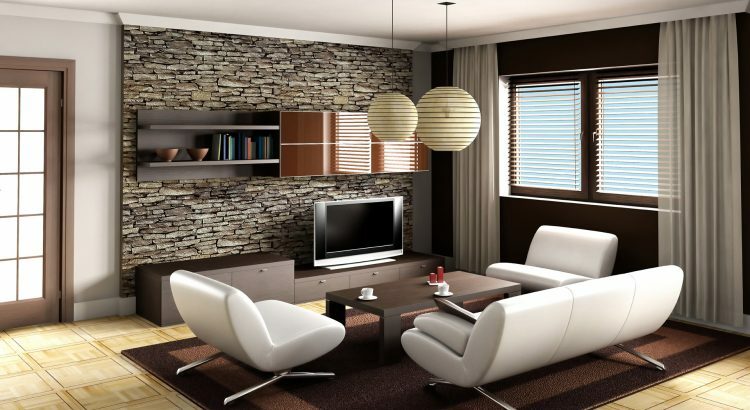 The white tiled floor and whiteness of the stone and walls gives this a unique look. Although perhaps not terribly attractive, this piece is massive and unique. The yellow and red brickwork against the stacked stone wall, the pink painted sloped ceiling and tiled floor are certainly different. 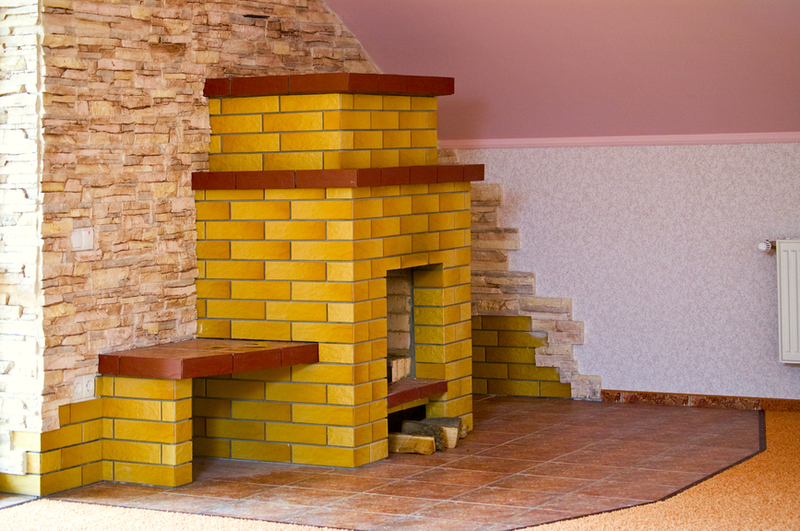 The many levels this fireplace has – highlighted by the red bricks – give this fireplace a look of importance. Where is this piece, what is it used for, and why did the builder choose these colors? are all questions this fireplace might evoke. 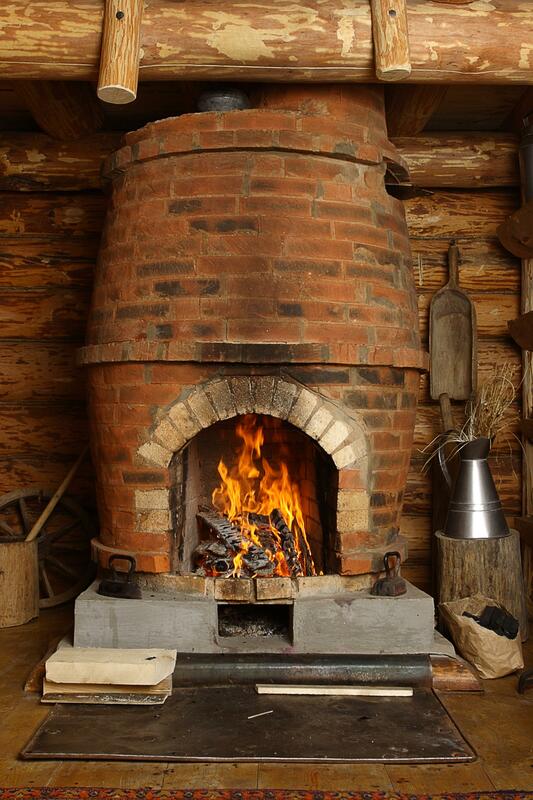 A traditional barrel-shaped fireplace made of brick, this is an impressively large structural piece. 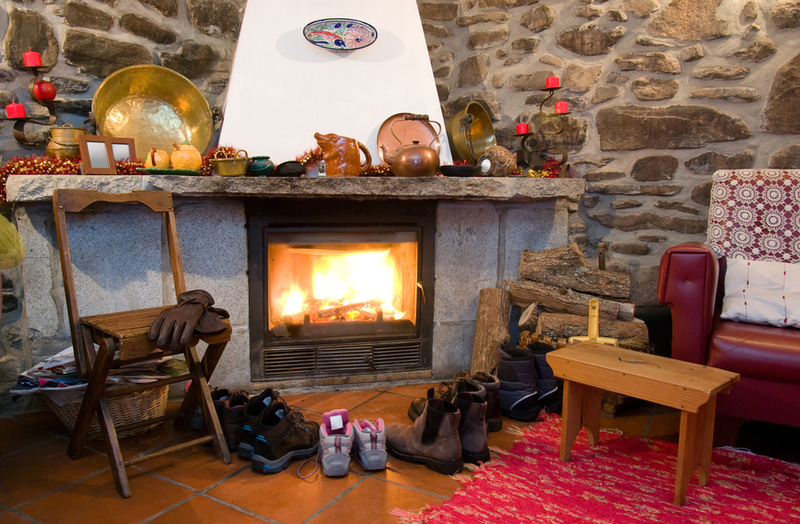 Set against the wood logs of the home, this is truly a rustic scene. Another truly rustic scene, the stone and concrete of this fireplace is offset against the terracotta colored tiled floor. 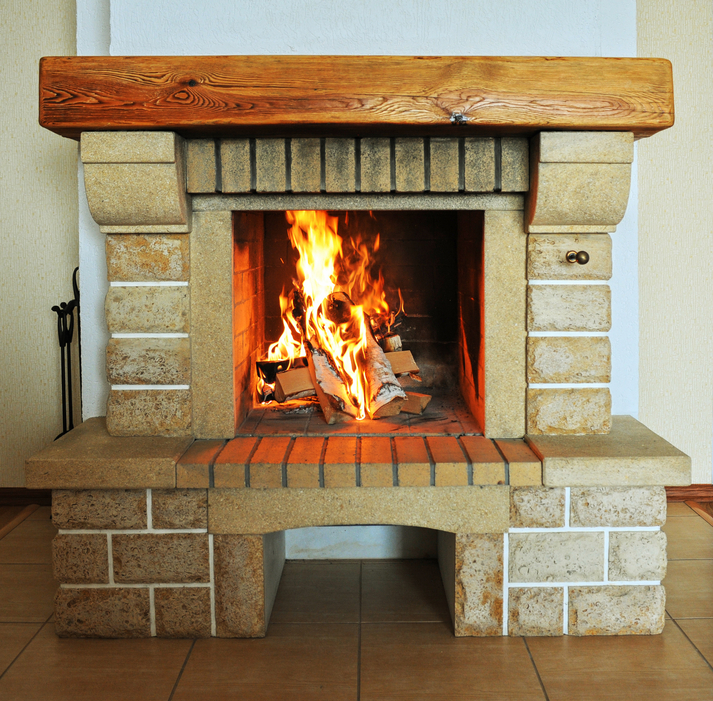 A fireplace stove is set against a brick wall and set on stonework that is echoed on surrounding walls. This is raised from the floor. The red surround on this fireplace, with the black tiled raised hearth is dramatic and bold. The look, however, is still traditional and cozy. 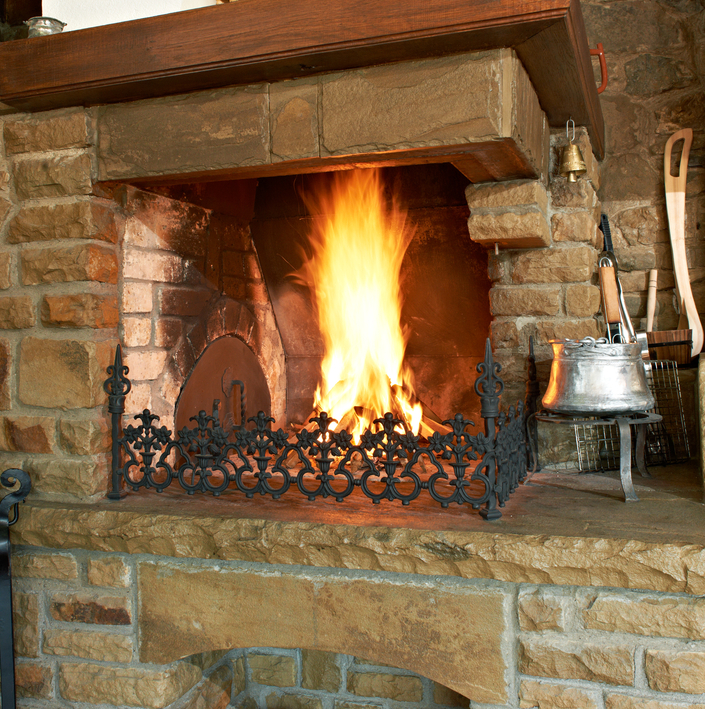 Included only as an ode to fireplaces of the past, this traditional Bulgarian fireplace, is very open, with protection only with an ornate short iron grill. 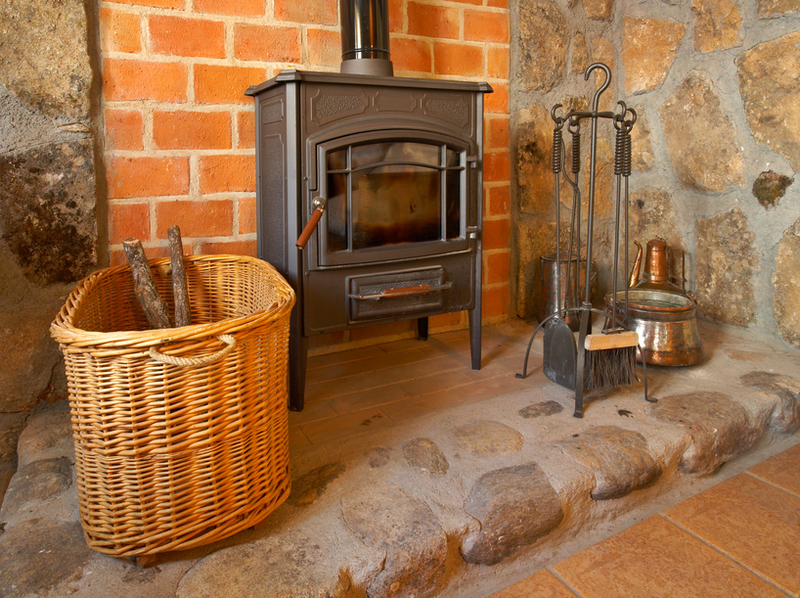 The hearth is deep and practical and the wooden mantle provides further space for implements.